Alexandre Trudeau is an illustrious filmmaker and a seasoned journalist. Check out this biography to know about his childhood, family life, achievements and fun facts about his life. Alexandre Emmanuel Trudeau, popularly known as ‘Sacha’, is an illustrious Canadian filmmaker and a seasoned journalist whose debut novel, ‘Barbarian Lost: Travels in the New China’ became a national bestseller within months of its release. Alexandre hails from a family of premiers—his elder brother Justin Trudeau is Canada’s current prime minister while his late father, Pierre Trudeau was a former PM. He enlisted as a Reserve Entry Scheme Officer with the reserve regiment of ‘Royal Canadian Hussars’, a division of the Canadian Forces while studying in McGill University. After passing out of McGill with a degree in philosophy, he embarked on a journey to West Africa for filming ‘Liberia: The Secret War’, his debut documentary. 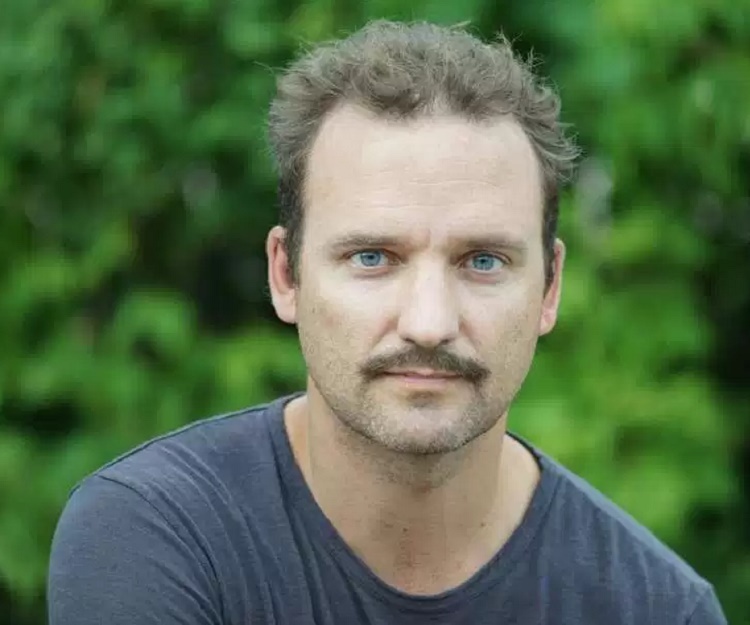 Alexandre Trudeau lost his younger brother Michel the very year he recorded his first TV documentary, and a few years later, his father, Pierre, passed away. Though these personal setbacks did unnerve him temporarily, he soon collected himself and bounced back, creating a series of documentaries for the small screen. He earned widespread acclaim as a war correspondent and journalist by creating a poignant documentary titled, ‘Embedded in Baghdad’ that offered graphic details about US invasion of Iraq in 2003. Sacha has always championed for the causes of justice and equality. He revealed his philanthropic bent of mind when he vehemently opposed the central government’s policy of indiscriminately exploiting ‘security certificates’ to incarcerate terrorist suspects indefinitely without giving them a fair trial. 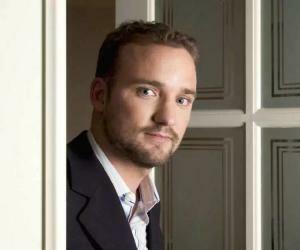 Alexandre Trudeau was born on 25th December 1973 in Ottawa to Margaret and Pierre Trudeau. His elder brother, Justin Trudeau was born exactly on the same day, two years earlier, and therefore both the siblings were termed “Christmas babies.” Alexandre’s mother had to grapple with postnatal depression following his birth. Alexandre was nicknamed ‘Sacha’—which is actually the French version of the Russian abbreviation for Alexander. His father Pierre Trudeau, who was the Canadian Prime Minister at that time, was a confirmed Russophile, and in order to embody that affinity, he gave him the moniker Sacha. He also had a brother, Michel, four years younger to him, who passed away at the young age of 25 after he drowned in the alpine lake, ‘Kokanee’ in British Columbia. Margaret once expressed in an interview that all three of her sons, despite sharing some unique traits, had distinctive personalities of their own. Sacha was temperamental, strong-minded, and somewhat of a rebel while Justin was well-mannered, and Michel, the youngest of the three, had imbibed the qualities of his older brothers. Soon after Alexandre’s parents officially divorced in April 1984, Margaret tied the knot with Fried Kemper, a real estate promoter, the same year. Pierre Trudeau, who retired as PM soon, relocated to Montreal, and took upon himself the responsibility of taking care of his children. Alexandre followed in the footsteps of his father and older brother by completing his secondary and college-level education from College Jean-de-Brebeuf in Montreal. 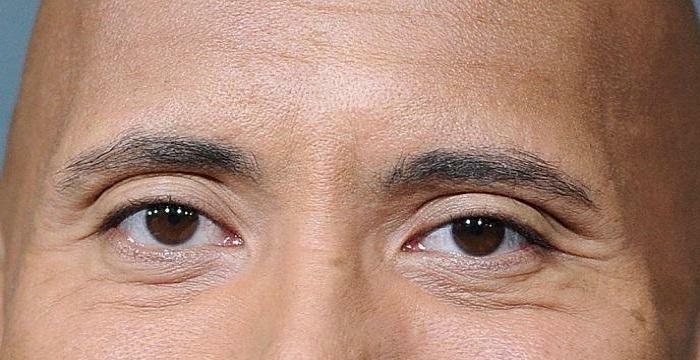 He completed his graduation in 1997 from McGill University, earning a degree in philosophy. During his time at the university, he enlisted in the Canadian Forces. After Alexandre Trudeau completed his training in New Brunswick, he started working as Second Lieutenant but took a voluntary leave. He went all the way to Liberia in West Africa in 1998 to shoot a documentary, ‘Liberia: The Secret War’, his first. In the very year Alexandre filmed his debut documentary, his younger brother Michel Trudeau was swept away by an avalanche plunging him into Lake Kokanee in British Columbia where he drowned. 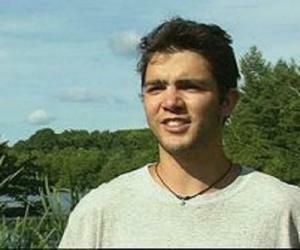 Despite a sweeping search, Michel’s body could not be salvaged from the lake. Two years later, in 2000, Pierre Trudeau passed away, bringing both Alexandre and his elder brother Justin back into focus. Alexandre’s journalistic forays now received greater public attention as a result of his newfound and amplified public stature. Alexandre Trudeau, after his father’s death, continued to work as a journalist, recording documentaries for television channels in Canada. He traveled to Iraq in 2003, as a high-profile journalist to cover the US invasion of the Middle East country, and produced a documentary titled ‘Embedded in Baghdad’. In 2004, he recorded footages for a documentary, ‘The Fence’ that profiled Palestinian families settled in Palestine territories of Jenin, Israel, and Afula encircling West Bank. In the following year, Alexandre found himself siding with suspected terrorists put behind bars without trial by the government of Canada. The Canadian government in 2005 blatantly exploited the policy of issuing security certificates for imprisoning alleged terrorists for an indefinite period without producing them in a court of law. Trudeau took up the cudgels on behalf of a Syrian immigrant, Hassan Almrei who was kept behind bars for years without trial. Alexandre Trudeau vehemently opposed the Canadian government’s unabashed misuse of security certificates for detaining refugees and expatriates by branding them as terrorists without backing up the charges. He strongly felt that such a discriminatory policy against immigrants was tantamount to besmirching the civil liberties of human beings. He stood as a guarantor for Hassan Almrei by testifying on behalf of the latter in court. His bearing witness in a court of law created a sensation in the media as mainstream newspapers like ‘National Post’ and ‘Toronto Star’ published reports on the front pages. Endeavors by Alexandre Trudeau to get Almrei released unconditionally were archived in a documentary, ‘Secure Freedom’. Almrei ultimately won his freedom in 2009 on 14th December. Trudeau made a documentary film named ‘Refuge’ in 2008 throwing light on the civil strife that engulfed eastern Chad and Darfur zone in Western Sudan which threatened the lives of millions of people. He was actively involved in producing a documentary titled, ‘The New Great Game’ exclusively for CBC (Canadian Broadcasting Corporation) that dwelt on the geopolitical dimensions of maritime security in Western Indian Ocean and Mideast. His debut novel, ‘Barbarian Lost: Travels in the New China’ was published by Harper Collins in September 2016 which went on to become a bestseller in Canada. The book documents and chronicles his repeated visits to China which started when he accompanied his father during the latter’s trips to the Middle Kingdom as the Canadian PM. 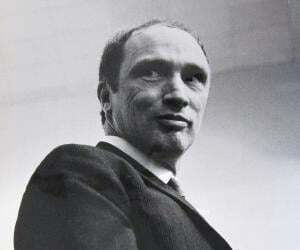 Alexandre Trudeau has revealed in his book, ‘Barbarian Lost: Travels in the New China’ that his persona had been shaped by keenly observing Pierre Trudeau, his father who valued privacy above all. Right from the time when he started making documentaries as a journalist, he preferred staying away from public gaze. In his book, he has drawn up parallels with his father who too was bitten by the travel bug, making numerous trips to China and chronicling his observations. 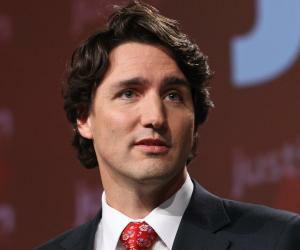 His elder brother Justin, after he became Canada’s PM, dashed to China in his official capacity. Alexandre Trudeau has maintained that after becoming an adult, he intentionally and relentlessly tried to distance himself from the limelight and glare of publicity that came naturally with his illustrious surname. He exudes an infectious charm and always has in store an insatiable energy to carry on conversations which he starts at the drop of a hat with anybody he feels drawn towards. Despite being a man of average built, he has an uncanny resilience to survive even in the toughest of conditions. He has confessed to not being a hardened journalist like most other successful correspondents or reporters, even though he has produced some astonishingly poignant documentaries. He is of the opinion that he is more of a peregrinator than a documentarian or chronicler. Alexandre Trudeau has made the book his mouthpiece through which he voices his beliefs and opinions. Harper Collins, the publisher of the tome had initially requested him to write down prologues for subsequent editions of ‘Two Innocents in Red China’, a volume penned by his father in 1961. The foreword that Alexandre wrote for his father’s book gradually became long-winded but riveting nonetheless. He felt the preambles merited special attention and that is how the idea of authoring his first book germinated. The volume, for the most part, revolves around a six-week tour of China that he undertook in 2006. He reminisces that he suddenly left for a trip to Africa as an 18-year-old as he wanted to experience in person the grimness of life that was so vividly described in Joseph Conrad’s ‘Heart of Darkness’. Alexandre Trudeau presently stays in Montreal, in his father’s home with his wife Zoe Bedos, who works as a manager in a clothing store, and their three children. Following the unexpected demise of his younger brother Michel in 1998, he started living with his father in the latter’s Montreal home and took good care of him till he died in 2008.